As the cost of components used in storage appliances has reduced drastically, those cost savings have not trickled down to end user IT consumers. For instance EMC, the leading storage OEM enjoyed 61% gross margin (2016). By comparison, Super Micro which sells commodity servers, had a gross margin of 15%. These numbers go to prove that in the enterprise storage space, cost savings resulting from the commoditization of hardware components have not trickled down to end user IT consumers. A decade ago higher margins in the storage industry were justified because expensive purpose built hardware was needed for building an enterprise storage appliance. However over the past few years, with the advent of high core count x86 CPUs, iSCSI (over 10gbps Ethernet) effectively competing with Fiber Channel SAN, high capacity (12TB) hard drives, SSDs over standard SATA interface having low latencies and longer lives, meant that all the hardware that goes into a traditional enterprise storage appliance is now available off-the-shelf. Also, the ability for enterprise IT consumers to easily mix and match chassis, motherboards, hard drives, SSDs, and NICs, meant that a storage appliance of any capacity and performance can be put together using off-the-shelf components, provided there was software to do so. This is where we come in. It is our mission to develop software that stitches together off-the-shelf hardware to satisfy the diverse storage needs of any enterprise IT organization, and as a result deliver cost savings to IT organizations made possible by the use of commodity components, and without sacrificing storage functionality like high availability, fault tolerance, low latencies, and easily scaling out capacity & performance, that enterprises have come to rely on from big brand storage OEMs. Virtunet Systems was founded by Bappa Sinha and Parag Patkar in 2010 with the idea of alleviating storage IO issues within virtualized servers. Our team is made up of kernel engineers and sales folks from various systems and virtualization startups that were ultimately acquired by Intel, Netapp, Alcatel-Lucent, and HP. We have been profitable and debt free every year since founding, and we are entirely employee owned. We count Seagate, Cisco, France Telecom, Tellabs, Western Digital, UCLA, Stanford, Service Now, Verint, as customers. Use cases for VirtuCache. Improving application performance. Increasing number of VMs per host. Virtualizing data intensive apps. Parag founded Virtunet Systems with Bappa Sinha in 2010 with the mission to provide easy to use, high performing, and reasonably priced storage for enterprises. Parag’s stewardship has resulted in Virtunet becoming a profitable, debt free, and a 100% employee owned organization with invaluable IP in the server storage and virtualization fields in a short span of four years. Before founding Virtunet Systems, Parag has had various sales roles of increasing responsibility at Inktomi (acquired by Verity, Autonomy and then HP), and later at Wind River (acquired by Intel). His most recent role was as director of sales at Wind River responsible for the sales of the first-to-market Internet-of-things management platform that let OEMs manage connected devices in the field. 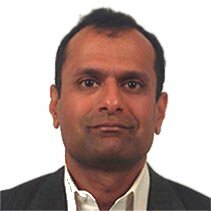 After Intel’s acquisition of Wind River, Parag was responsible for all software and services sales to networking and storage OEMs for the North American west coast. Software solutions included embedded virtualization software, IO subsystems, and management frameworks. Parag has a Masters and Bachelors in Aerospace Engineering from Indian Institute of Technology, Bombay. Bappa is responsible for all technology and product decisions at Virtunet Systems and leads Virtunet’s engineering and product teams. Bappa has successfully delivered VirtuCache and VirtuStor’s market leading features, keeping far ahead of our much larger competitors, with a lean and talented engineering team. Bappa is an expert in Linux and VMware kernel with a strong background in distributed systems, scale out clustering, networking & storage stacks in VMware and Linux. 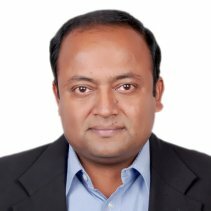 Bappa is responsible for patent pending work at Virtunet in the areas of block level IO caching for virtualized environments without prior space reservation; cache index state replication for dirty writes; and adaptive write back throttling to ensure synchronization of cache with datastore. Prior to Virtunet, Bappa has held architecture and engineering leadership roles in networking companies like Omnia (bought by Ciena), Lucent, and Dilithium Networks. He was most recently VP Engineering at iTaas, responsible for video gateway software. Bappa has co-authored multiple patents in the areas of ATM VP switched SONET rings. Bappa has a MS in Computer Science from Arizona State University and BTech in Computer Science from IIT, Bombay.